Reaching out and speaking out about politics around the globe. A good video of that rally can be found here, and I think that above all of the great work Faith has done, both here on this continent, and beyond, this rally stood out to me, without a doubt. It showed me more than ever, as if I wasn't convinced already, what kind of a woman Faith truly is...and what kind of character she possesses. 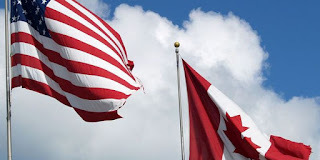 As she has done in the past so many times, Faith stuck her neck out, and faced down ever present hostility, to not only show the rest of Canada, but the rest of the world, a united front of peaceful patriotism, and also that of pride, strident nationalism...and freedom. 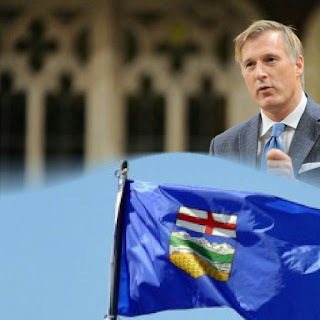 He is known as the "Albertan from Quebec", and Maxime Bernier, leader of the People's Party of Canada (PPC), certainly seems to live up to that, and is now free to do so, since his departure from the Conservative Party of Canada(CPC), and subsequent courageous leap forward, with the founding of the PPC. In the current, polarized political climate we all find ourselves in, being authentic to ones beliefs can indeed come at a high price, and within the whipped confines of the CPC, along with all the inauthenticity that party has come to represent, I can only imagine how many people have turned their backs on Maxime, whether it be former colleagues, others within the ranks of that party, and even those in his personal life. I am a hardworking, 30 something guy, based out of Washington State, but my heart will always be in my native Montana. The quest for knowledge, to inform and to be informed, to make aware and to be made aware of news, issues, and politics around the world, as well as in my own backyard, is my purpose. I hope all who visit here benefit from the experience.